This is the #27th set of PHP Interview to help aspiring PHP developers and PHP fans alike to get inspired by listening from those PHP guys who are already highly involved into the PHP Ocean and being ‘there’ taming the waves and surfing better than ever to make themselves an Awesome PHP Expert both in their own eyes (for self-accomplishment) and for the PHP Community. On the other side, this is an opportunity for new PHPers to get to know their “PHP Elders“. I hope you will derive as much fun to read my interviews as I’m having by interviewing those A-List PHP guys. In this edition I talked with Timothy Boronczyk who is the Managing Editor of the famous PHPmaster.com – which is a network (venture?) of the eminent SitePoint (an online media company). @zaemis is also the co-author of the book “Beginning PHP 6, Apache, MySQL 6 Web Development“. I’ve been involved in web development since 1998, have a degree in Software Application Programming, and am a Zend Certified Engineer. By day I work as a programmer at ShoreGroup, Inc. By night I’m a freelance developer as Salt City Tech and writer and managing editor at PHPMaster.com. There’s not much free time after all that, but I enjoy spending what’s left visiting friends, dabbling in photography, playing sudoku, studying Esperanto, and even napping. I was working for a local credit union and they wanted to overhaul their website. At that time, my dynamic web programming repertoire only consisted of SSI+, which does a great job of reducing duplicate HTML headers and menus and the such, but I wanted something more flexible and powerful. The CU’s hosting company supported PHP and ColdFusion, so it was a choice of learning one of those two. There wasn’t any set up I needed to do for PHP like there was with ColdFusion, and so I went with PHP. I started out like many others using includes to mimic SSI+ and learned and grew from there. In hind-sight, it’s kind of scary how close I was to being a ColdFusion developer instead! The stack varies depending on the project, but generally it’s a mix of either Ubuntu or CentOS for the L, Apache or Nginx for the A, PostgreSQL or Percona’s build of MySQL for the M, and of course PHP for the P. It’s all pretty standard stuff… nothing exotic. I think the PHP community is made up of many wonderful people; I’ve made a lot of great friends and have had many opportunities open up for me because of the community. I’m really appreciative of that. I try to “pay it forward” in my capacity as editor by helping authors grow and become better programmers and writers. Everyone’s familiar with PHP’s bad parts… inconstant haystack/needle ordering, lack of Unicode support, etc. There’s really no point in rehashing all of that. 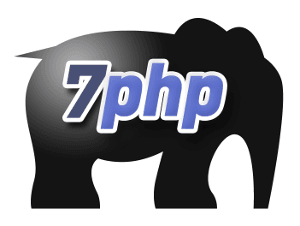 But PHP has some really good parts too, like hash arrays and its close integration with the web stack. Also, there aren’t any other languages that I know of that come remotely close to integrating with the web stack as intimately and flexible as PHP does. You can read incoming data directly from $_GET/$_POST/etc., and functionality for working with sessions and headers is baked right in. Languages like Java, Ruby, etc. all need special frameworks or libraries to do such things and still leave the programmer with a modicum of sanity. Detractors can complain all they want about PHP, but I don’t really see another language displacing it any time soon unless it can integrate as smoothly. I think the best thing for beginners to do is to practice their new craft as much as they can. You can read all the blogs, manuals, and tutorials you like, but in the end there’s no substitute for the real-life experience of writing and debugging code. It’s also important to find a project that is important to you. It doesn’t have to be anything too ambitious (something like a simple personal DVD library tracking app is a good place to start). Programming can get frustrating at times and it’s easier to stick through the rough spots when you’re learning if it’s a project that you really want to see succeed. >> To someone who wants to become a better PHP developer…? Again: write code, code, and more code. And while you’re writing it, have fun with it. Sometimes we get wrapped up in requirements and unit tests that we forget what attracted us to programming, and PHP specifically, in the first place. You can probably guess I’d recommend [PHPMaster.com @phpmasterdotcom] 🙂 The authors and I work very hard to bring awesome, relevant content to the community. Depending on the environment I’m working in, I use either Geany or vi to write my code. Geany is cross platform and not Java powered, which is important to me. It has all the basic functionality I need like syntax highlighting, auto completion, regex search and replace across files, basic build system integration, etc. without the bloat and resource hogging. I’m just as comfortable and productive in it as others are in their full-fledged IDEs. And as for vi… well, let’s just say for all the vi vs. emacs flame wars out there, I’ve never really seen anyone actually *use* emacs. I crank my error level up to the max in development and staging since it’s hard to ignore errors when there’s splashed all across the screen. Writing warning-free code helps me ensure certain edge-case bugs won’t creep up in the future (caused by things like unassigned indexes, etc). In production, all the warnings and errors are redirected to a log file. I also make liberal use of print_r/var_dump/debug_print_backtrace which can be redirected to logs as well. Anyone who knows me knows that I’m not a big fan of PHP frameworks. They’re all basically the same in my opinion; the big frameworks advertise themselves as MVC, but they’re not true MVC (and it’s not like MVC is the only option for separating concerns and staying organized anyway! ), and the micro-frameworks are all just basically routers. But if you feel a framework makes sense for your project, then by all means go ahead and use whatever works best for you. It’s terribly unfair to ask me to identify one person because the community is full of so many awesome people whom I’ve become friends with. and people like Ed Finkler, [Matt Turland @elazar], and [Davey Shafik @dshafik] who help me realize I’m not so far off in left field as I often think I am! There’s no formal method I follow; I just do things that have to get done and loosely base them on their priority. Things that have a higher priority, are time sensitive, or will take just a few minutes to accomplish and then I won’t have to think about anymore, I’ll do those first. Sometimes I’ll make a TODO list so I don’t forget anything. But essentially, that’s it. >> The day you realised “You’ve made it to the A-List PHP arena”? Nice to see Tim. And I know it is really hard to manage things in your short time. But you are really fast in replying back.